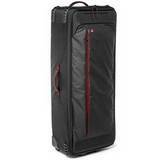 Holds Cinema sized Tripods/Stands/Sliders up to 40"
Rolling cases are great for carrying large amounts of photo gear. 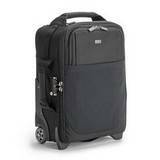 They simply pull along on free running wheels and are ideal for travelling abroad. 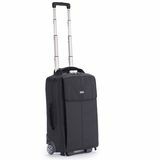 Lots of them are perfect carry on luggage, so can be stored in the cabin and not thrown into the hold and the large rolling cases are well padded and rigid to give excellent camera protection. 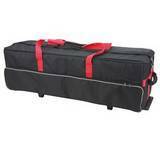 Many of them have replacement handles available, so if in a few years time, the extendable handle stops extending, it is really simple to swap it for a new one. 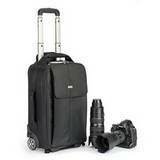 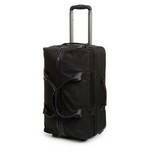 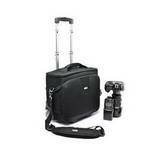 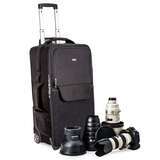 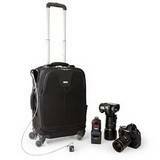 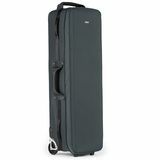 We sell Think Tank Carryon cases, Manfrotto Carryon Cases and a particularly smart Ona Rolling case. 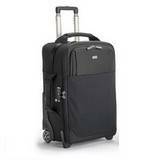 Camera storage in a rolling case is great, as all of the interior is used and many of them will take an additional laptop using the extra laptop dividers, that protect it from bangs and knocks. 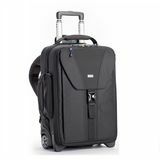 The pull along design of the rolling camera bags make them perfect for holidays and a great travel companion, for long trips abroad.